The SideArm SA6 / SA8 Series Flexible Source Capture Extraction Arm collects process generated airborne particulate at the point of containment generation. The ProVent SideArm is excellent for applications that need source capture in various positions. The self-supporting SideArm is capable of extending up to 10ft. 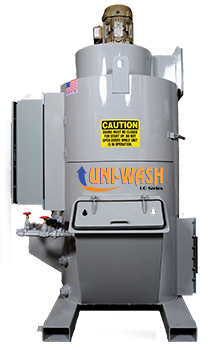 from the equipment to give you plenty of room to operate around your application space. Conical hood hardware provides increased velocity at the point of capture, maintaining efficient performance in situations where the source capture device may not be placed in an optimum position to the process or where the hood is located with longer ducted distances from the ventilation equipment. A variety of orientations and mountings are offered. The SideArm systems can be attached to most brands of portable air cleaning and ventilation systems, including the SideKick line of Portable Cartridge Collectors. Works with SideKick PSK 500 – 1000 CFM Portable Dust Collectors. Call us today to find out more about how a ProVent extraction arm can be used in your application. 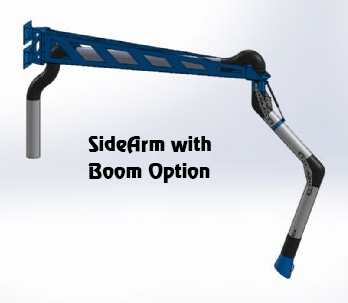 The boom options allows the extraction arm to be mounted above the process with added flexibility of movement. 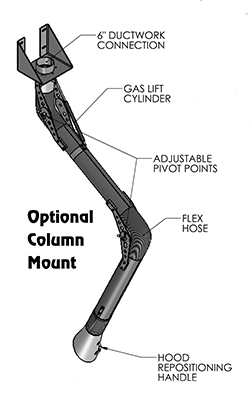 The column mount assembly allows the arm to be fixed overhead or to a wall.